total twenty-four bedrooms. 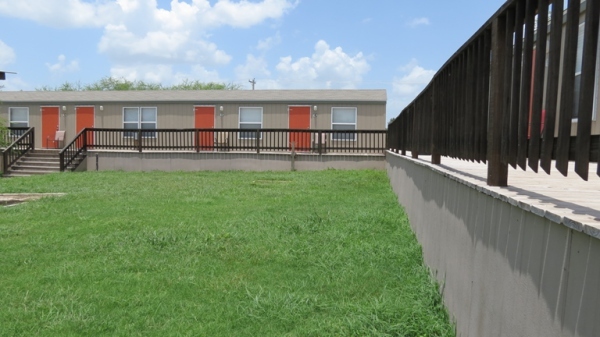 This complex has generous decks around the inside perimeter looking out to a courtyard with two covered areas with picnic tables, BBQ and horseshoe pits. All homes have large bedrooms, full-size upgraded walk-in showers and large walk-in closets. 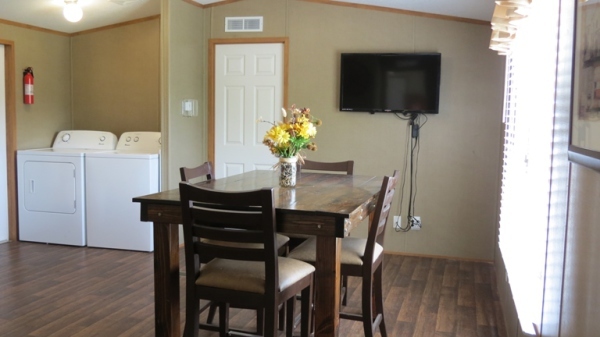 There is large screen tv and cable in every bedroom with two hot water heaters per unit, and central heat & air. Common areas have full kitchen with full-size appliances, and offer free washer & dryer to patrons. There is a dining space and seating to accommodate four. Note that these homes have substantial upgrades in terms of construction. bedroom with two hot water heaters per unit, and central heat & air. to accommodate four. Note that these homes have substantial upgrades in terms of construction. 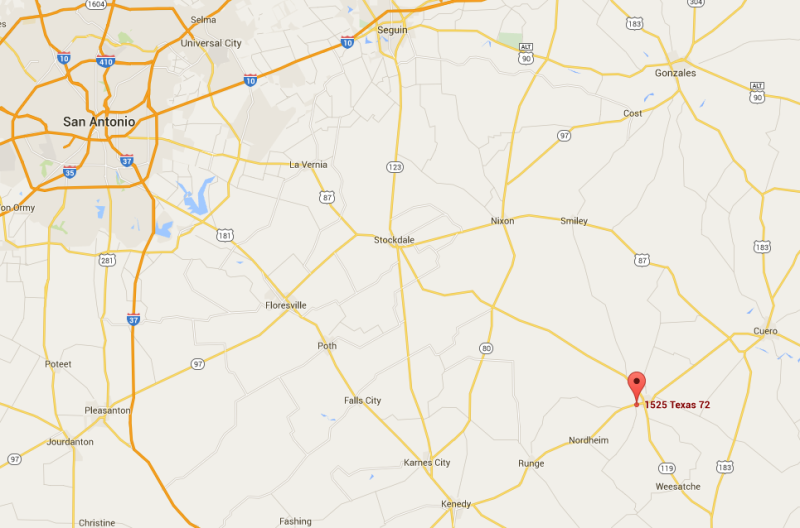 Yorktown is approximately 80 miles from San Antonio and located between Kenedy and Cuero. From Hwy 119 take 72 westbound approximately 1 mile. Property is on the left.